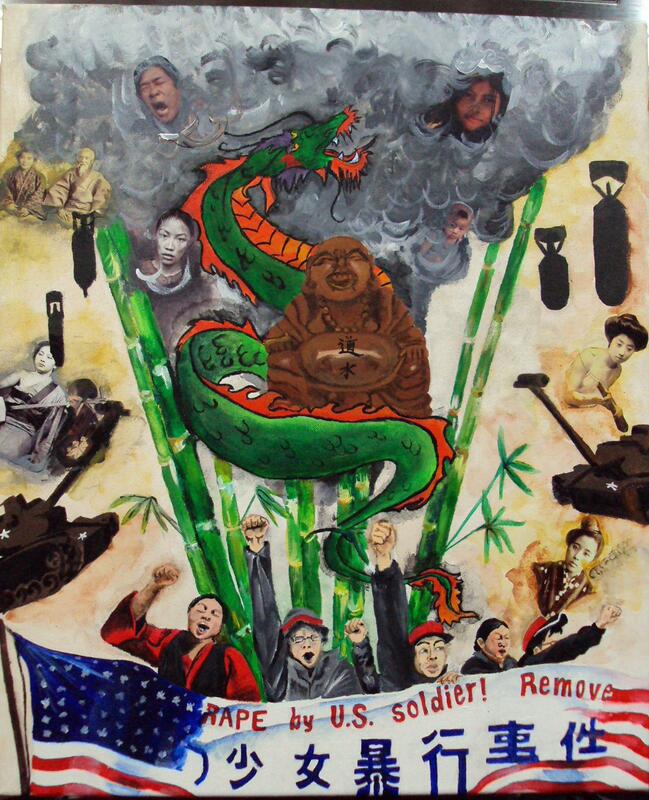 Motivated by her belief that visual art can convey emotions and struggles in ways that words cannot, Chanel Bradley created this piece which depicts the Asian struggle against U.S. militarism and their persistent efforts to maintain a communal identity. Inspired by her own Asian identity, Bradley attempts to convey what she describes as “silent advocacy” to shed light on the historical trauma and sacrifice of Asian communities living in U.S. occupied territories. Using the canvas as an outlet to voice their perseverance and her own personal connection to the continuous struggle, Chanel showcased her work at California State University San Marcos’ 2010 Art + Activism event.